No outdoor kitchen is complete without the convenience and practicality of a sink and faucet. The Stainless Steel Sink and Faucet by Fire Magic is the ideal addition to your outdoor living area. 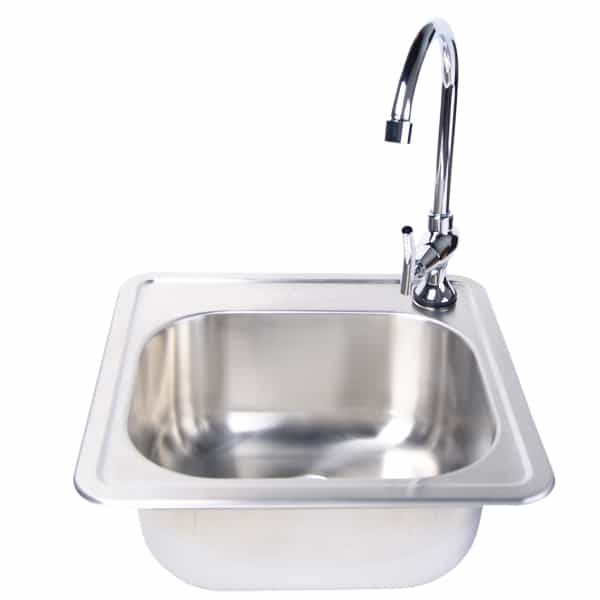 Manufactured to Fire Magic’s stringent specifications, this sink is crafted of commercial grade 304 stainless steel. The cold water supply faucet is chrome and includes a sink strainer and stopper.